I went to DPRK in the early September this year, which was the month of 61th national day! So it's nice to see something more - mass dance under the Juche Tower was definitely the focus! Of course Arirang Mass Games was the most unforgettable one - this 100,000-performers involved event is something that only DPRK can do it in such a perfect way. Overall speaking this was an incredible trip - not just simply because of stepping into DPRK, but you can have a chance to know more about this socialist state. Listen to their story and get rid of your first impression about DPRK from the mass media, you will find yourself getting more than just souvenirs upon your departure. 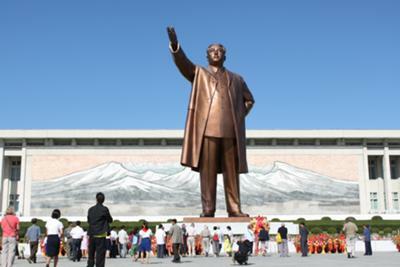 Here I strongly recommend everyone to go on a trip to DPRK with KTG! A competitive-priced tour package is always waiting for you!